Hello everyone! It is great to have you back. 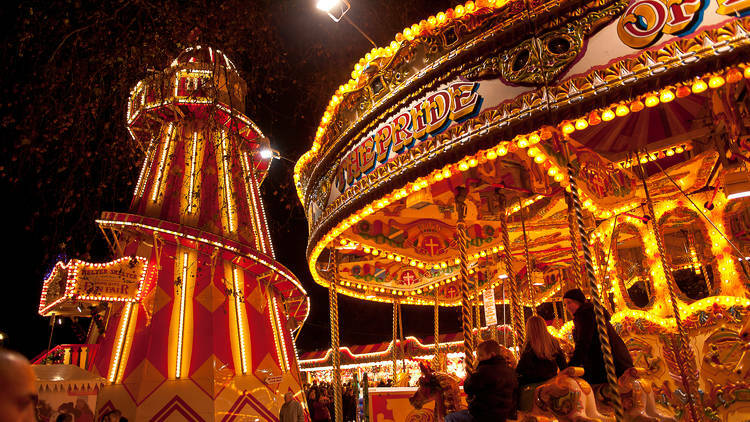 I have listed my top London events that I would highly recommend for November month. Not to be missed! This year the Magical Ice Kingdom presents an ‘Enchanted Forest’ – an immersive walk through experience filled with ice and snow sculptures. Along with the 60-metre observation wheel, rollercoasters and fairground rides will keep thrill seekers happy. A good alternative for those who prefer to stay on solid ground are the selection of themed bars with real fires, except for the Ice Bar (for obvious structural reasons) where even the glasses you drink from are made of ice. If you’re skating, be aware that while there’s no minimum age for skaters, under-12s must be accompanied by someone 16 or over and the smallest skates for hire are children’s size 9 (adult skates go up to size 13). You can use your own skates as long as they’re not speed skates. Wheelchair users are welcome on the ice. There are also ice guides who can look after groups of up to 15 skaters at a time (for an additional charge). A glorious backdrop and special events help make a trip to this outdoor rink one of the capital’s most festive outings. Get your skates on. 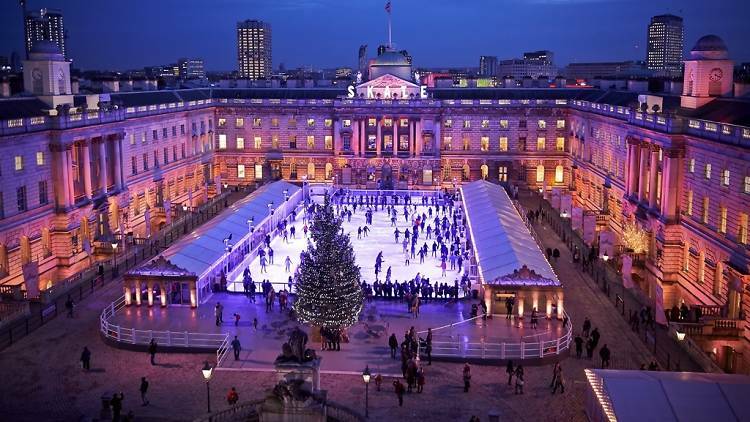 Somerset House’s grand 18th-century courtyard is the stunning setting for an ice rink again this winter. No matter how unimpressive your skating skills a trip to this 900-square-metre outdoor rink will be the very definition of festive fun. 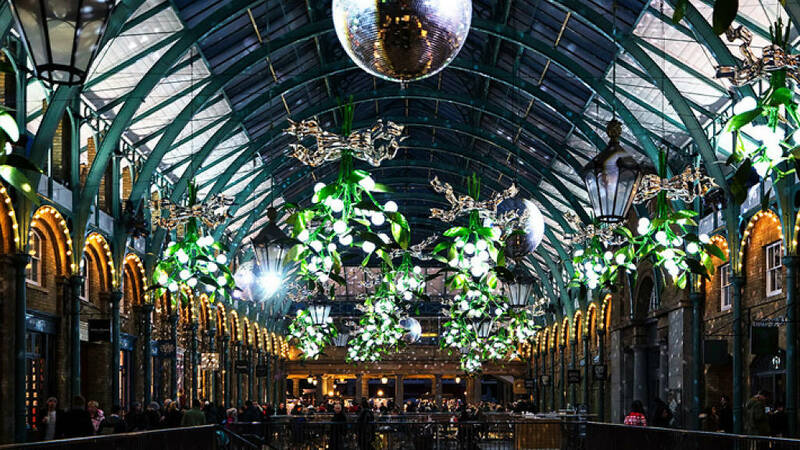 When it comes to London’s traditional events, this is one of the biggies, referenced in Pepys’s diaries and in works by Canaletto and Hogarth. 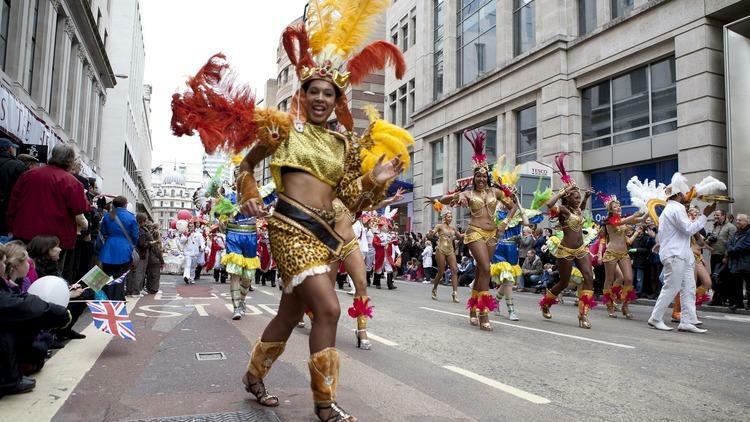 The annual procession kicks off at 11am from Mansion House with cadets, carriages, floats and bands moving through the streets, while festival zones at Paternoster Square and St Paul’s will see a funfair, archive film show, art installations and street theatre takeovers. See you all next month December!